Any self-respecting auto enthusiast knows the importance of wheels and rims. While it’s easy to use “rims” and “wheels” interchangeably, there’s actually a slight difference that you need to know. The wheel actually refers to the complete setup composed of the tire and rim. On the other hand, rims are used for mounting the wheels. For the tires to function at their best, you need a quality set of rims. If you are looking to get custom wheels and rims for your car, it’s important that you know your options. 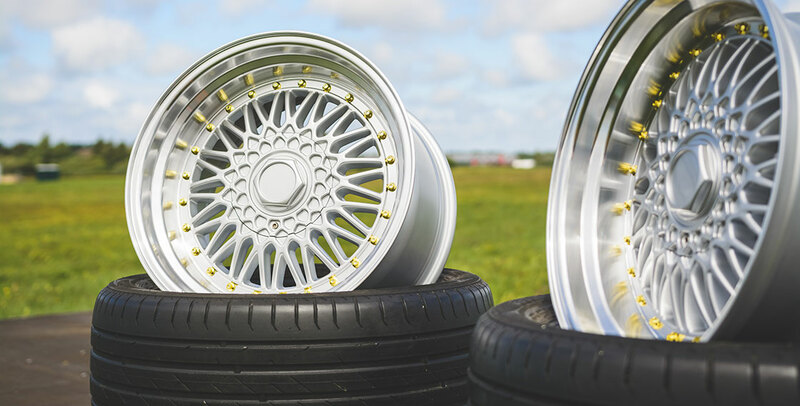 Lucky for you, we’re be highlighting the many different types of classic wheels and rims, and hopefully, get you inspired for your car customization plans. When it comes to classic custom wheels, your standard and cost-effective option are steel wheels. This is your go-to option if you want a set of wheels that just works but won’t break the bank. In the world of rims, steel wheels or often referred to as “steelies” are considered to be the wonderbread. Well, there’s not much to be said about steel wheels except that they work and light on the wallet. However, they are heavy and can take its toll on your car’s performance and fuel economy. When it comes to custom wheels and rims combos, chrome is perhaps the safest bet. Chrome is a classic for a reason and that’s mainly because the color works for virtually any vehicle and car paint job ideas. However, let us set the record straight: calling a set of wheels chrome is somewhat of a misnomer. The rim is not actually made of chrome but instead, it’s just lightly coated in chrome. This, of course, makes sense since chrome is not exactly cheap. Chrome doesn’t really offer any benefits in terms of performance. However, it does act as a primer coat for your wheels to keep oxidation at bay. Go big or go home as they say. If you want your car, truck, or SUV to pop, it’s hard to go wrong with throwing wheels with big rims on. Most people like to use big rims because it makes their car look sportier and to improve handling performance, especially for cornering and spirited driving. While classic big rims are mostly used for their design benefits, they do offer performance benefits. Bigger wheels provide improved grip and traction and better braking. Going with big rims is all about making a statement. Older car aficionados will surely remember the spinners or spinning rims of the 90s. For the uninitiated, it’s a special type of rim that keeps spinning even after the car comes to a halt. Spinners generally spin slower than the car tires while in motion, then they will go faster once the car decelerates or stops. There is no shortage of auto body shop that can provide high-quality custom wheels and rims for your vehicle. For your customization needs, the classic wheels and rims combinations above are good places to start.